Implements of war and destruction are often seen as fascinating objects in themselves, for a variety of reasons. 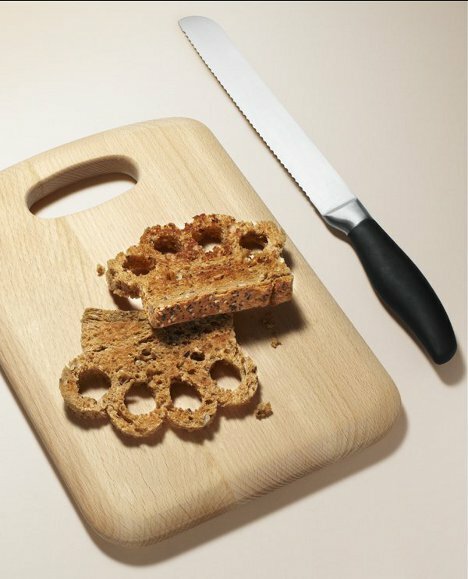 British designer and artist Kyle Bean created a series of harmless weapons that celebrate the beauty of their form without promoting the violence with which their real-world counterparts are associated. 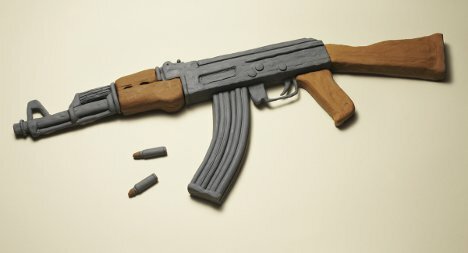 The suite of “soft guerrilla” weapons was created for a magazine article all about guerrilla gardening and other “soft” forms of rebellion. 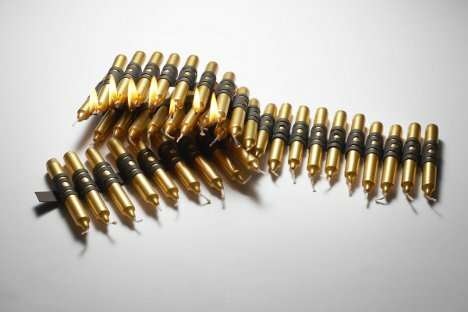 By keeping the forms but changing the materials, the weapons lose all of their perceived power. 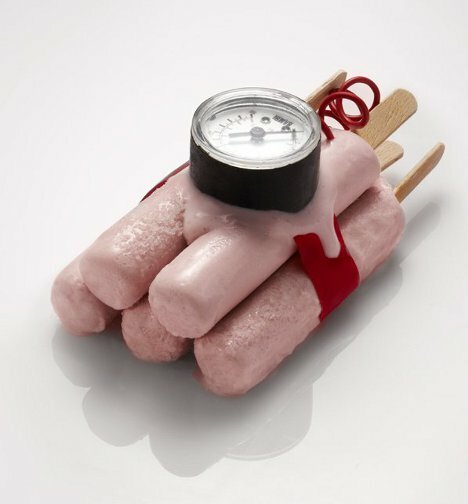 Dynamite made of ice cream bars, bullets made of birthday candles and a machine gun made of clay simply don’t have the intimidation power of the real articles. 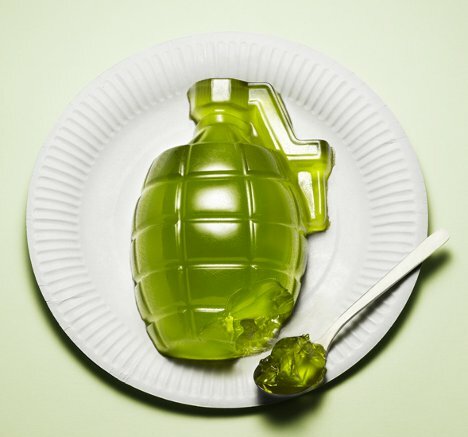 These non-weapons are equal parts serious statement and tongue-in-cheek fun. They are, of course, entirely harmless – and so any guilt that one might feel at admiring their graceful forms is handily dispatched. 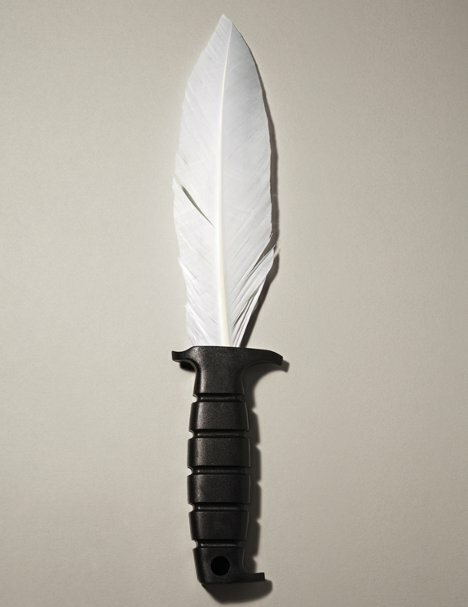 In a similar vein is this group of pillow fight weapons from Bryan Ku. 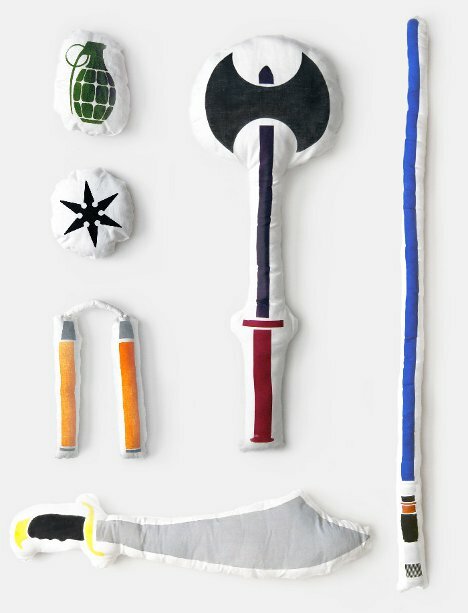 Modeled after some wickedly dangerous objects like a double-sided Viking axe and a pair of nunchucks, the fluffy pillows could make pillow fights way more interesting. In fact, your opponents might simply surrender when they see you coming at them with a ninja throwing star.